With the hype for Disney Park’s Star Wars: Galaxy’s Edge exploding, it looks like Universal Studios is considering making a themed land of their own that will rival what Disney is doing. According to Disney and More, there are rumors that the studio is looking to looking to make a Star Trek Land, which would be pretty rad! The site’s source confirms previous rumors that the Terminator 2 3D ride at Universal Studios Orlando is looking to be replaced with either a Bourne Identity attraction or a Star Trek attraction. I think a Star Trek attraction seems like the better choice. It’s a timeless franchise, the Bourne franchise isn’t. The source goes on to say that Universal doesn’t want to make a generic themed area like Tomorrowland. “The days of random themed areas with 5 IPs around each other are gone and they are going to transition each area nicely”. So when it comes to creating new Star Trek Land it will be a go big or go home deal. There’s been talk in the past of Universal Studios building a Super Nintendo Land or a Fantastic Beasts expansion, but there’s no update on that. As for Star Trek Land, it’s just a rumor for now and we’ll just have to wait and see if any of this actually becomes official. Even though I’m more of a Star Wars guy, I’d still be super pumped if Universal Studios did develop an epic Star Trek-themed land! If they do end up doing it, they better put the same crazy amount of effort into it that Disney is putting into Star Wars: Galaxy’s Edge if they truly want to compete. 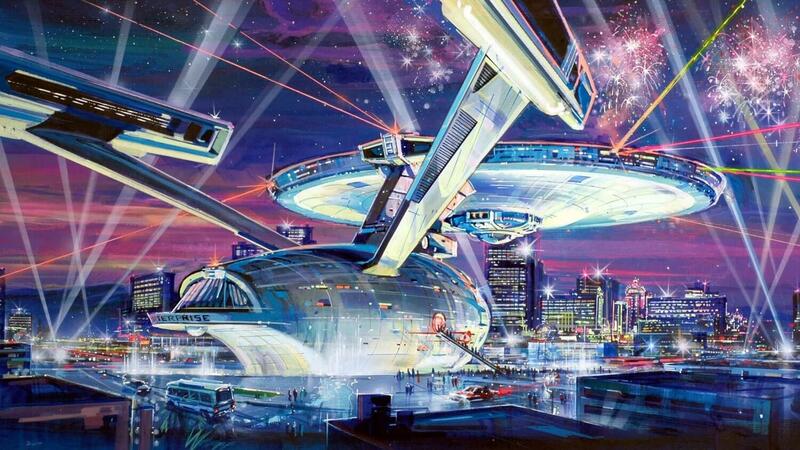 There was a pretty awesome Star Trek attraction in Las Vegas at one point. Star Trek: The Experience launched in 1998 at the Las Vegas Hilton Hotel, but it closed in 2008. The original plans for that was a life-size version of the U.S.S. Enterprise. That’s something I’d love to see!